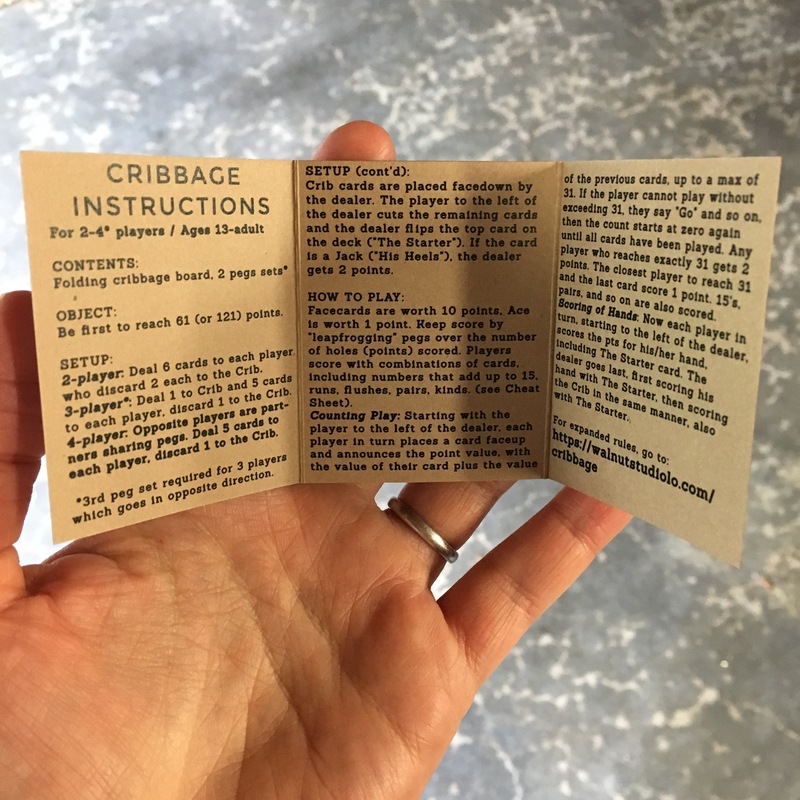 Presenting the Cribbage Minibook, included with every Travel Cribbage Board purchase, free of charge. 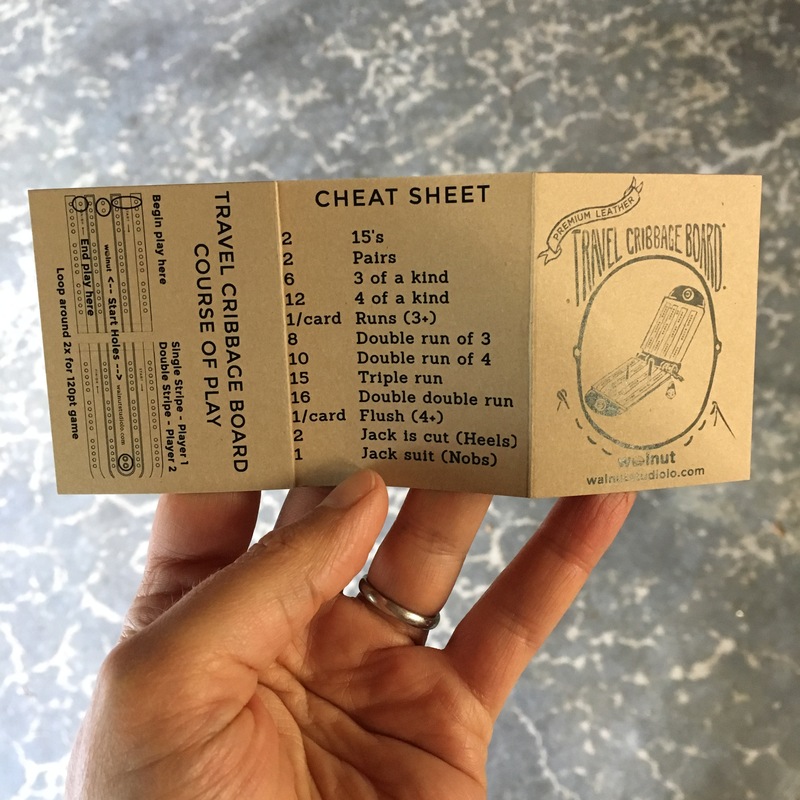 The minibook is a twee little book that handily presents a basic guide to the game in a small, packable format. 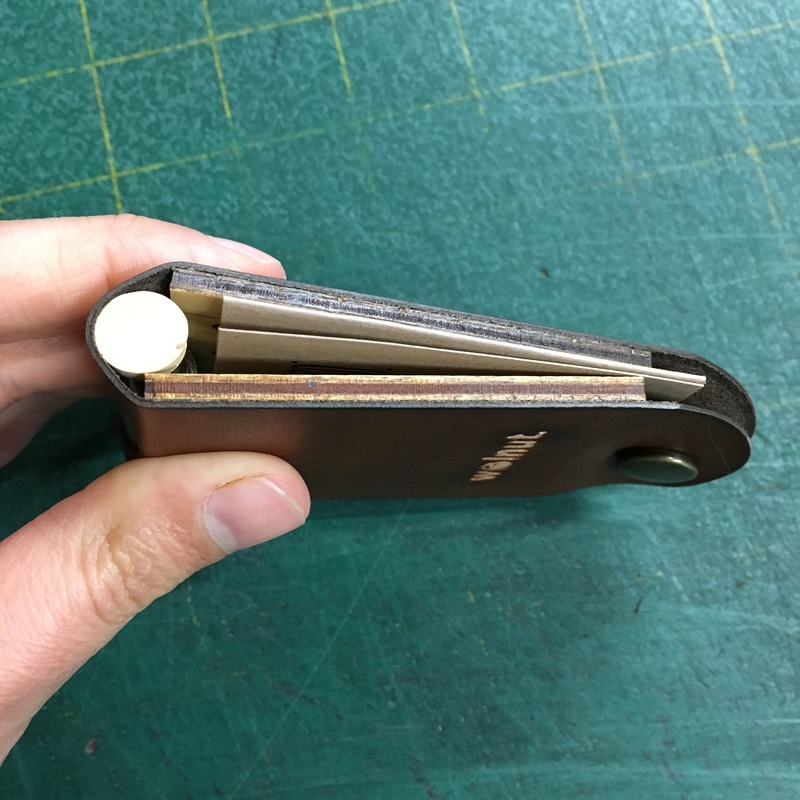 The minibook stores perfectly inside the Travel Cribbage Board — it is the same size as the birch board — and stays tucked inside the board when snapped to close. 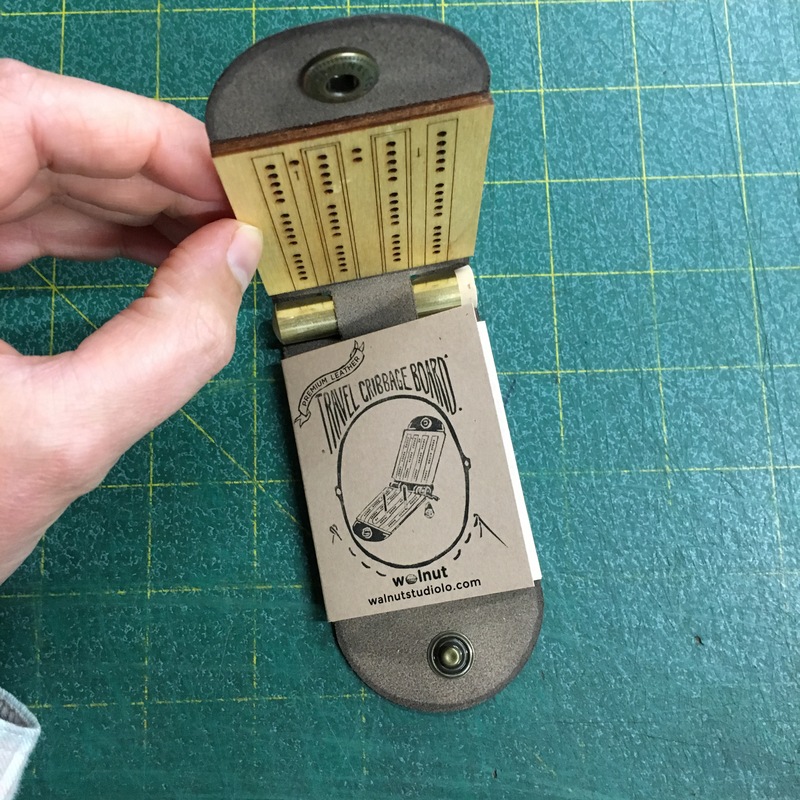 The minibook is included for free with every Travel Cribbage Board purchase on our website and Etsy store going forward. 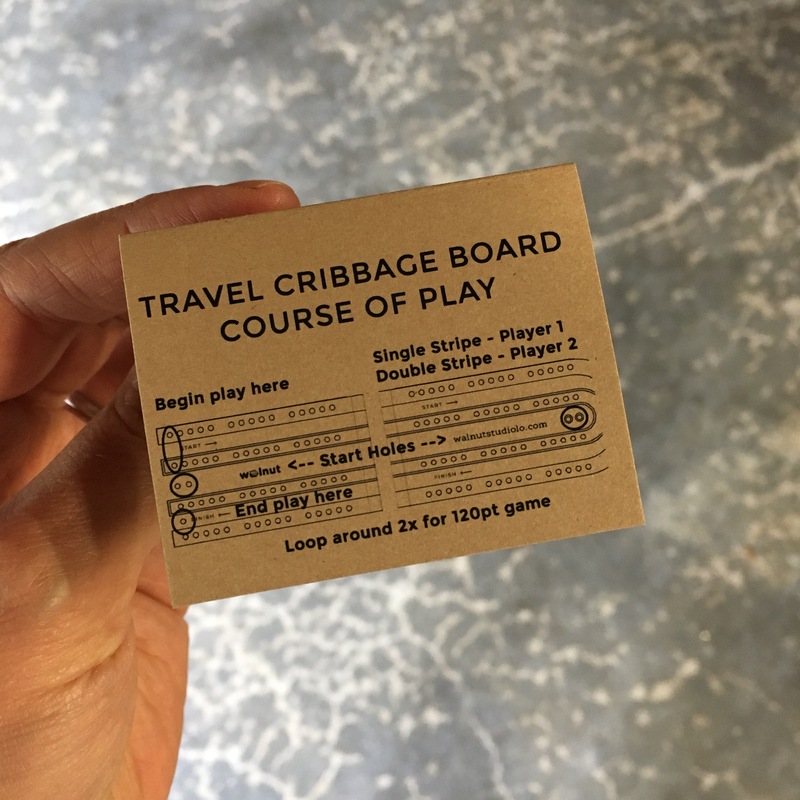 Did you already purchase a Travel Cribbage Board and want the minibook, too? Shoot us an email at walnutstudiolo [at] gmail [dot] com and we’ll mail you one for free. Previous Post What Does Maker-Made Truly Mean?